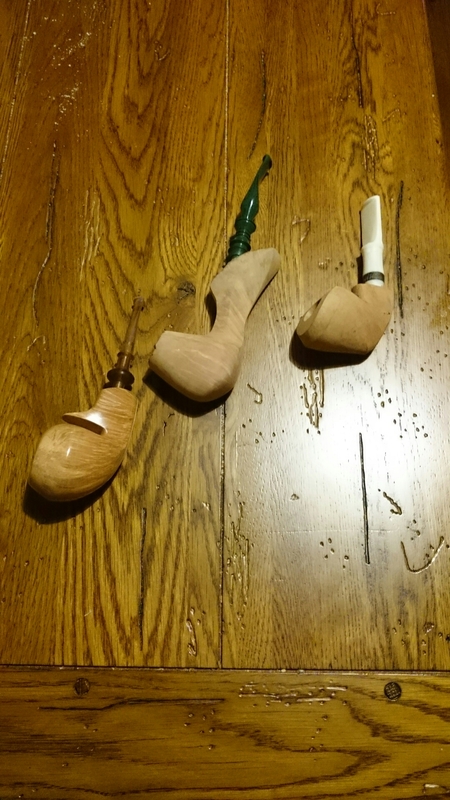 Two friends making handcrafted tobacco pipes. While most of the shaping is done on the lathe, on the belt sander, or with files those tools can only take a pipe so far. After the rough shaping and lines are carved into the pipe it’s a matter of hours and hours of sanding up to 1000 grit to get the pipe where we want it to be. Once the pipe reaches an even finish we will dye it and then we sand some more. It’s time consuming but can be enjoyable and takes a pipe to point where we can put it on the buffing wheels and bring all that sweet, sweet grain out.